from all your backyard summer activities by having a mosquito service in place. ● Number of applications – Seasonal program or a one-time service for special occasions. We will come out and inspect the property, measure the area to be treated and take into account the mosquito’s hiding and breeding places like vegetation and landscaping. 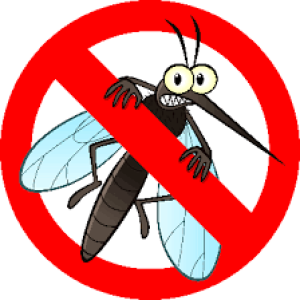 Mosquito control services can start at any time during the season and still be effective. The treatment is not cumulative in nature. One time visits will include a $35.00 service charge. ● Grass is not treated for mosquito service since they do not typically rest in grass, but it can be requested at additional cost. Spraying the grass can also treat for fleas and ticks along with many other insects. ● It does not treat for Culex pipiens, a night time mosquito that usually resides in tall trees. The service only focuses on the Asian tiger mosquito, a day-time biter. ● Asian tiger mosquitos vary from property to property so even if you treat and remove the mosquitos from your yard, your neighbor will still have them in their yard. ● Even though you may have treated for mosquitos, that does not mean you’ll never encounter a mosquito in your back yard ever again. The treatment is not a glass dome above your back yard. ● The service will run from June thru October with 7 applications separated by 3 weeks each, which primarily targets the Asian tiger mosquito, a day-time biter. ● The technician will come out and use a mister to treat resting areas around the property. The vegetation around the perimeter of the home in addition to beneath decks and other outdoor shaded areas will be treated. ● We will use a growth regulator to areas where the water can pool, which usually makes and ideal location to lay eggs. ● At the conclusion of the service, the technician will do an inspection of the property and make any additional recommendations to eliminate potential breeding areas. ● If at any time during the 3 week intervals you are noticing an increase in mosquito activity during the day, a technician will return and conduct an additional treatment free of charge. The next service will be done at the regularly scheduled program date.